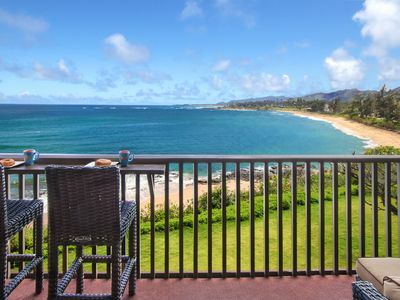 Come and enjoy the spectacular panoramic ocean & beach views from the living room, dining room, kitchen and lanai. 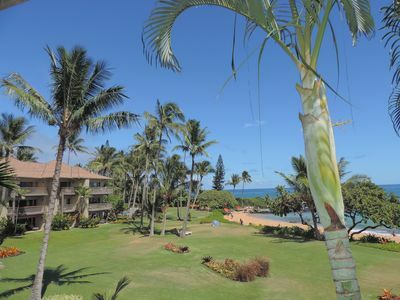 Lae Nani #412 is a beautiful 1 bedroom 1.5 bath ground level condo on Kauai's beautiful Coconut Coast. 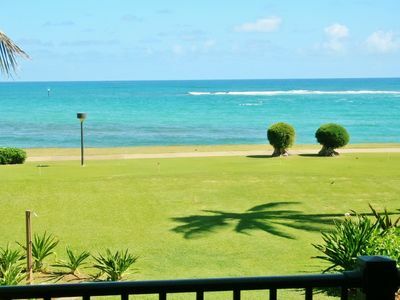 The condo offers an updated kitchen, comfortable living room, decorated with the owner's one of a kind island artwork, and Master bedroom with a King sized pillow-top bed. The sleeper sofa in the living room converts into a Queen size bed. 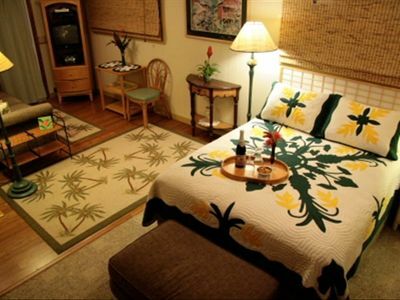 Lae Nani #412 provides a TV in the Master bedroom and Living room, as well as free WiFi. Roku and Amazon Fire devices are available on the TVs, allowing Netflix access with your sign in credentials. 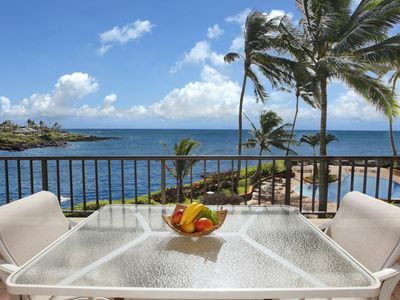 The lanai is furnished with a table for outdoor dining with spectacular views. 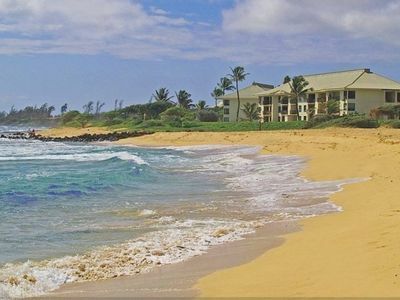 Direct beach access allows for easy swimming, bogey boarding, & endless ocean fun. 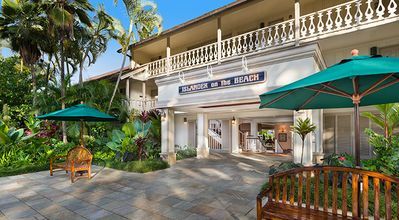 Additional items provided are bath towels, hand and body soap, hair dryer and iron and ironing board as well as beach chairs, boogie boards and a snorkel set. 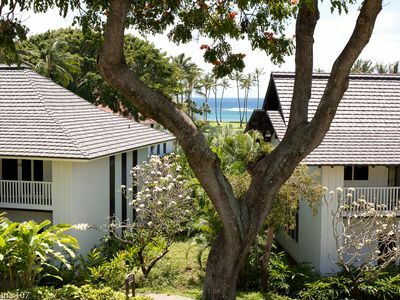 Lae Nani property also offers free parking, Gas barbecues, lighted tennis court, and onsite laundry facilities. 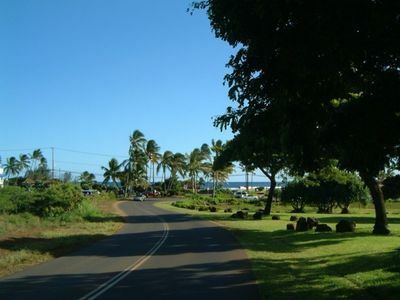 Lae Nani does not have A/C. 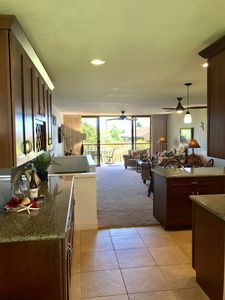 Typically the tradewinds provide nice cool breezes through the units and ceiling fans assist. The louvers in the Master bedroom can be opened along with the louvers in the ocean facing parts of the condo to allow for the flow of air. 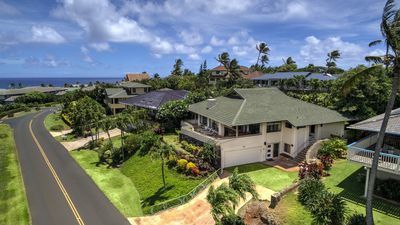 Nearby activities: Hiking, Golfing, Swimming, Snorkeling and Scuba Diving, Shopping and Dining, Kayaking, Paddle Boarding, Surfing, and Helicopter Rides. 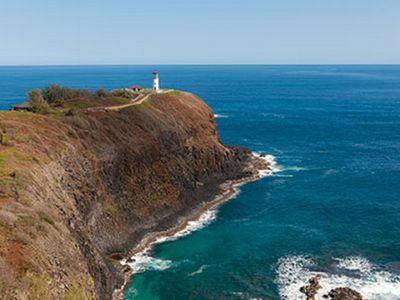 Only eight short miles from Lihue Airport (LIH). 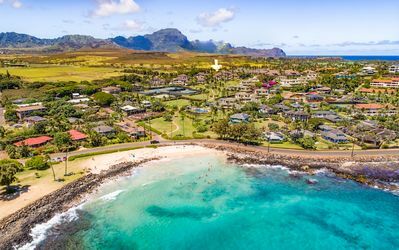 Served by several airlines with easy connections to many mainland cities. 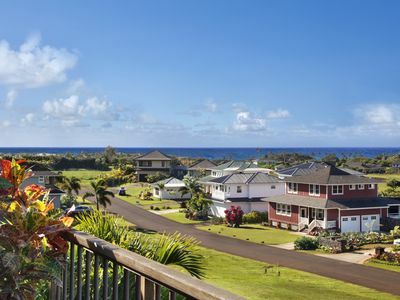 Poipu Dream Location only 3 Houses from Poipu Beach Park! 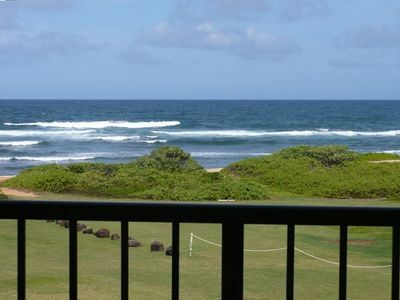 Islander on the beach Ocean/garden view unit! 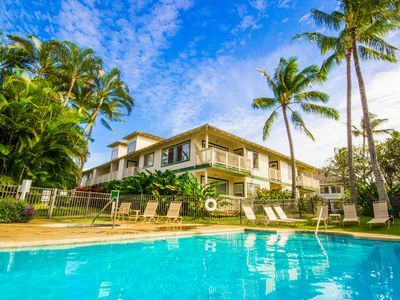 Hale Makani Nui: Great Central Poipu Location with AC! 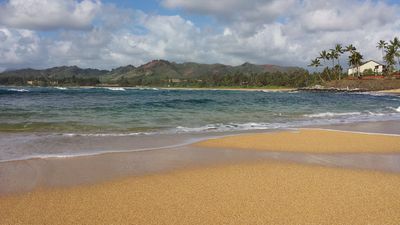 Check out the Wailua River … WOW! 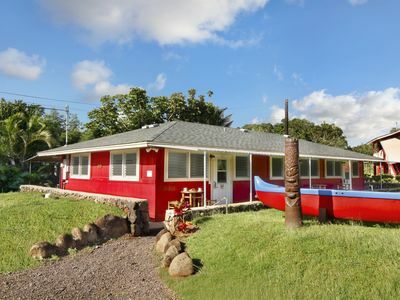 Motel Lili 6 Call or Email now!! 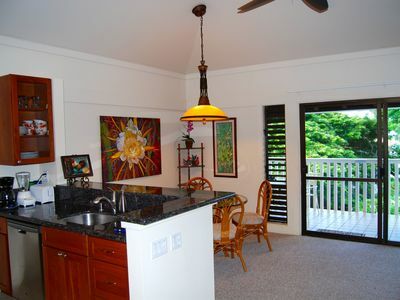 Excellent 5 bedrooms for 14 in Beautiful Poipu Kai! 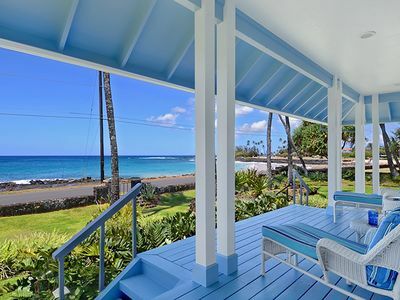 Beautiful 5 Bedrooms in Poipu Kai for 14! 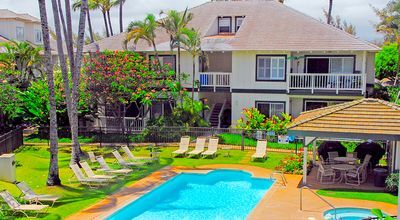 Fantastic 5 bedrooms in Poipu Kai for 12!